Believe it or not, it’s not always about me. Don’t get me wrong – it usually is ALL ABOUT ME but, again believe it or not, I actually do charitable work on a frequent basis. For the first time ever, I organized one of those teams for a major walk/run event! I’m so excited. I even designed t-shirts! I do this stuff because it makes me #FURIOUSLYHAPPY . So maybe then it is all about me after all. Fine. I can live with that. No one else can, but I’m good with it and the cat doesn’t care. As team captain I get to organize people (kind of like herding cats), and pick a team name. I still can’t believe they gave me that kind of authority. In all fairness, they don’t really know me. Guess what I named the team? The Couch Potatoes. How awesome is that?! I chuckle every time I think of it. 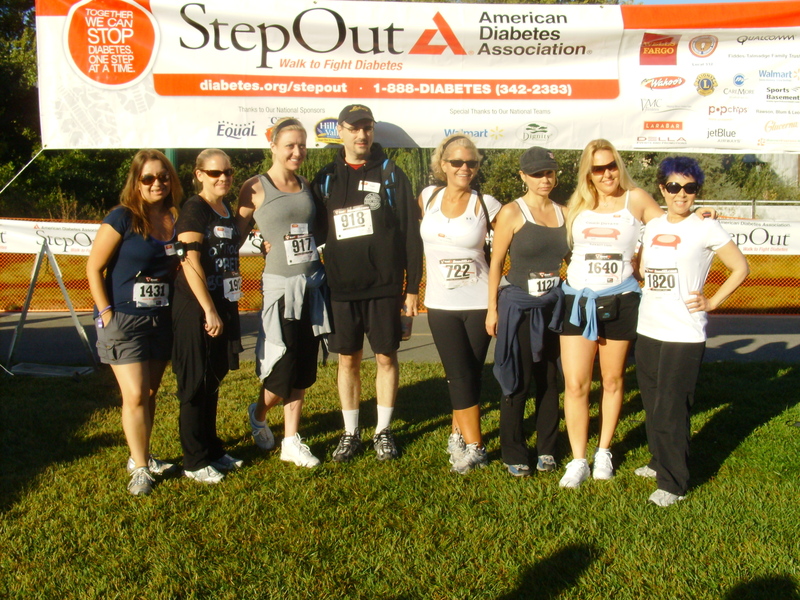 Team Couch Potatoes will be doing the American Diabetes Association walk/run this Sunday. I’m going for the full five miles. I know! I hope I make it. If you don’t see any more blogging from me after this, you’ll know I didn’t. 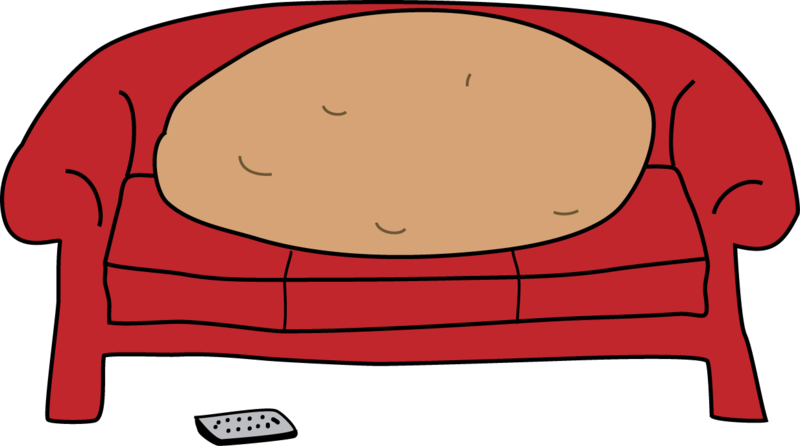 Want your own Couch Potato shirt with this awesome original art? Sure you do! Go here: http://www.zazzle.com/kernut* and look for the Couch Potato link on the left, or the Couch Potato folder and click. All items are customizable – add any text you want, or change the t-shirt style! If you want that design on something else, just let me know and I’ll make it for you! Be forewarned – I may make another futile attempt at live blogging during the event, complete with cheezy photos of me in my new couch potato t-shirt, probably sweating like a pig. Just you wait – it will be awesome. Maybe. UPDATED 10/11/10: We made it the whole five miles. I survived. The End. Team Couch Potatoes at the ADA walk/run. I'm the one who looks pregnant in this picture. I'm not. Pregnant. It's just a really bad camera angle and I'm not photogenic. At all. Ok, some of you may care for more details… I did not attempt another live blogging fail because Twitter hates me and is eating my @replies and #hashtags. I did sweat like a pig. (pics coming as soon as I get them. I can tell you’re excited.) I have about 5 blisters on my feet – two of which are on the balls of my feet. It was totally fun, everyone had a great time, and I’d do it again in a heartbeat. But with thicker socks. So what you’re saying is that my cat herding skills mean that I can also run 5 miles? I’m going to test that out tomorrow. No, no, no! Don’t do it! OMG – I hope it’s not too late to stop you! The cat-herding skills were only used to get a group together (All 10 showed up!). But most importantly – there was no running. We walked, rather slowly at times. And therefore the name. Couch potatoes make me furiously happy. Which makes the Couch potatoes *heart* Jenny. You had a blister for every mile. You go girl! Love the name of your team. I commend you for your gallant and yet crippling exploits! Well done you! Jenn’s last post ..Let’s Play The Feud! LOL I didn’t realize I had a blister for every mile, but you’re right. Thank you, it was great fun. And thanks for stopping by my humble blog! I don’t even know what live blogging is, but it sounds hard. Walking five miles is hard enough. Good for you! Sorry for mentioning the word hard-now three times. Live Blogging is supposed to be easy, apparently it’s just hard for me. Yes, the walk was hard – especially on my feet!